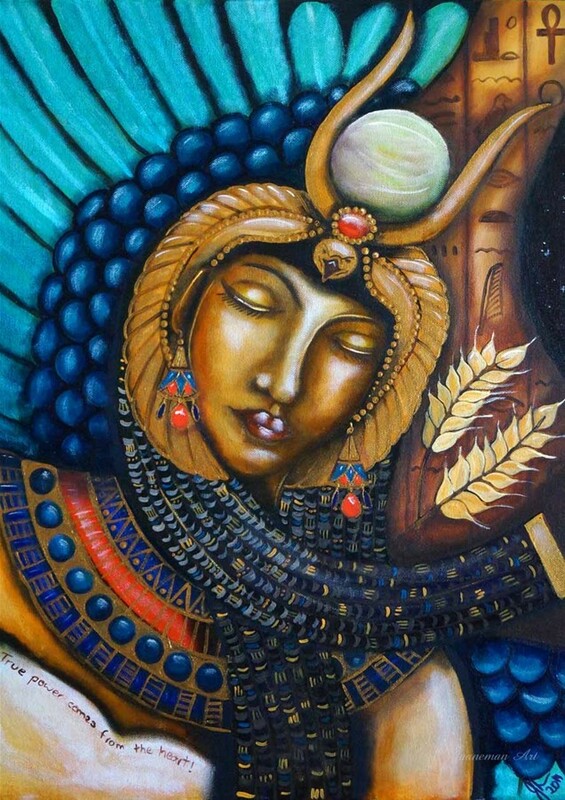 Golden Isis by Jane Marin. You can buy a copy here. As those of you who have been reading along know, I rarely comment on the ongoing discussions in the Pagan blogosphere. But this week, I am inspired by some current posts and commentary about the “re-enchantment of the world” over on Patheos Pagan and Witches and Pagans. I believe the discussion was started by John Beckett, whose work I often admire and who has written on this topic previously. Others added their own thoughts: Galina Krasskova: Re-Enchanting the World; Sara Amis: The World Isn’t Disenchanted. It’s You; Ivo Dominguez Jr.: Already Enchanted. Yet the heart-cry for re-enchantment is not new. We human beings have long complained about the world’s disenchantment. German sociologist Max Weber famously decried it in the early 1900s and before him Freidrich Schiller in the early 1800s. No doubt the discussion goes back much farther than that, too. I first read the term in the work of Thomas Moore, a psychotherapist, former monk, and spiritual writer. His books, Care of the Soul and The Re-Enchantment of Everyday Life, were best sellers, which tells us that there are many of us longing to bring the enchantment back. As steps toward re-enchantment, Moore calls us to get away from our self-centeredness and experience the Other, to relinquish some of our literalism to become more poetic, to get out in nature, and to seek out Mystery. The enchantment of everything—the magic in everything, the magic OF everything—is one of the things I most admire about [probably my personal fantasy of] ancient Egypt, as least as far as we understand it. I love Jeremy Nadler’s interpretation in his book, Temple of the Cosmos, when he writes about the “interpenetrating worlds” of the ancient Egyptians. Spiritual realities are immediate and present because the spiritual world interpenetrates the earthly: “for the ancient Egyptian, a metaphysical world poured into the physical, saturating it with meaning.” Yes. Yes. YES! My own quest for enchantment is one reason why I describe my spiritual path as Sacred Magic. In practice, this encompasses everything from simply chanting for Isis to a wide range of the expressions of modern Hermeticism (which indeed has its oldest roots in ancient Egypt), including the theurgic rites of magic that are intended to grow our souls and spirits. Of course, it also explains, at least in part, my attraction to Isis, Great of Magic. You have probably also seen Isis described by the lovely title, “the Great Enchantress.” Who else would be the Goddess of Re-Enchanting the World but the Great Enchantress Herself? 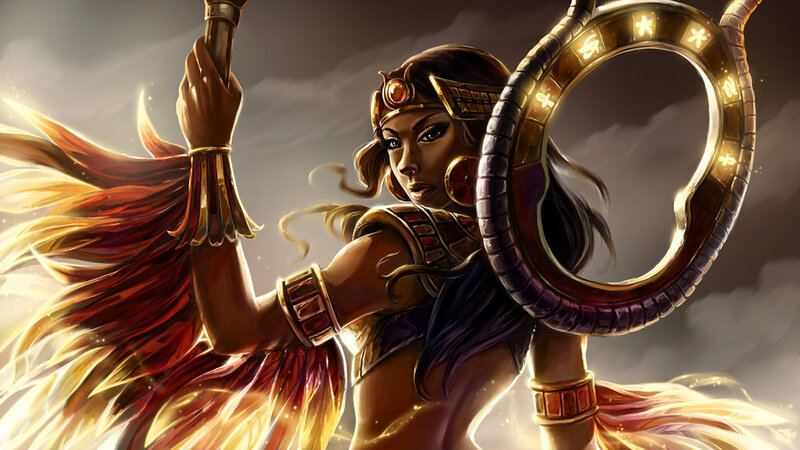 Yet when we see the title in older English translations, “Isis the Great Enchantress” usually translates Iset Werethekau, which we have discussed here. It seems to have been preferred by some of the Old Gentlemen of Egyptology who were perhaps a bit uncomfortable with the squirmy idea of magic and wanted a kinder and gentler epithet for the admirable Goddess Isis. She recited formulæ with the magical power of her mouth, being skilled of tongue and never halting for a word, being perfect in command and word, Isis the Magician avenged her brother. Isis. . .who repels the deeds of the enchanters by the spells of her mouth. Especially on His healing cippi, Horus is sometimes called Horus-Shed, “Horus the Enchanter.” And yes, you are way ahead of me again. Of course, Isis, too, is called The Enchanter. In Her case (feminized), it is Iset ta Shetyet. In fact, we have a handful of instances of that name being applied to Isis. And so it seems that Isis is indeed The Enchantress and I shall have to retract my previous snark at the Old Gentlemen. Chanting, singing, and music were a vital part of the worship of the ancient Egyptian Deities. 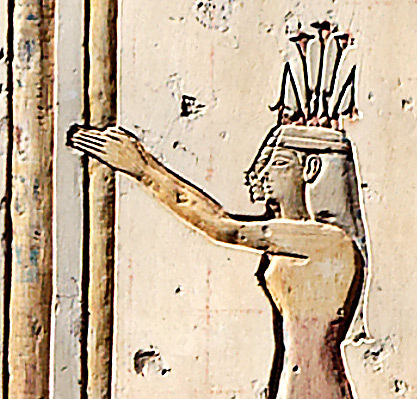 By the time of the New Kingdom, the most common sacred title for women was Chantress or Singer of the Deity. These priestesses served both Goddesses and Gods, providing the songs and music that raised and channeled the energy of the sacred rites. The Divine archetype behind this ritual role was the Goddess Merit or Meret, Whose name means “The Beloved.” With Her song, music, and magical gestures, Merit took part in the Creation. Daily, Her song greets the dawn and in kingship rites Merit encourages the king to bring good things to his kingdom, commanding him to, “Come, bring!” In this role of speaker and singer, Merit and the priestesses who represented Her—and in some cases, bore Her name as a title—were called “Great of Praise.” This was not meant to indicate that the priestess herself was praiseworthy (though she may have been). Instead, it meant that her praise—that is, the hymns she sang and the words she spoke—were words that had effect in the Divine realms. Just as the words of Isis, the Lady of Words of Power, are ritually efficacious, so the words of Merit are ritually efficacious. 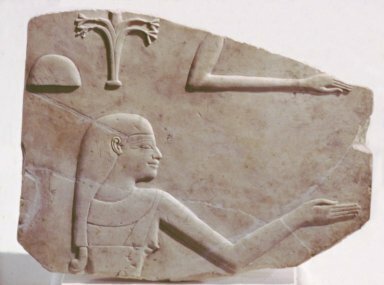 Much of the magic of the ancient Egyptians was focused on the idea of renewal, rebirth, and reconnecting to the perfection of the First Time. For ourselves today, perhaps we should add to those three “r”s, a fourth: re-enchantment. As we work to renew and restore the world around us, it may be that our inner work is to renew our own magical perception of the world, re-enchanting ourselves from the inside out. And I’m quite sure that a chanted incantation to Isis the Enchantress wouldn’t hurt either. Speaking from personal experience, the reason ancient cultures had so much enchantment in their lives has to do with the “religious” structures they built. All those pyramid and temples and stone circles are not merely buildings and ceremonial sites. They are actually devices specifically located and built to enhance and amplify the human brains higher perceptive functions. In our day and age, we only get that enchantment on a very temporary basis when we do ritual in our temporary set up sacred spaces. Having built and daily using a permanent sacred structure, I can tell you firsthand that is how the ancients achieved their very high states of perceptions and unity with divine forces. Regular use of sacred structures will do the same for us. We are just going to have to build our own. I know it has worked for me. Tim, builder and presiding priest for the temple of Hathor. And a wonderful Temple of Hathor it is!